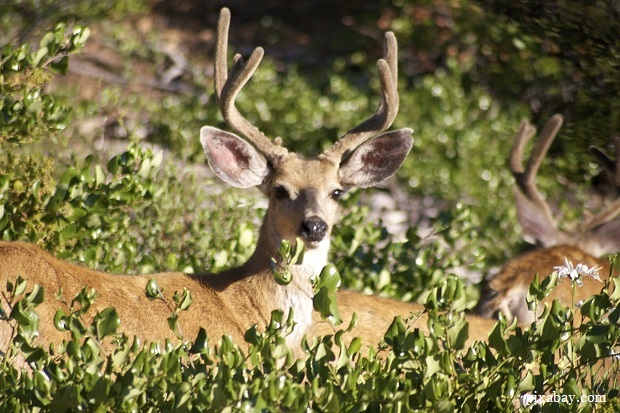 Deer is one of the most commonly hunted animals within the United States. For good reason too, they’re the smallest and least elusive of the large game animals and the tags usually aren’t going to break the bank. It’s not quite as simple as sitting in a stand waiting for them to walk under you though, many of those who oppose hunting have no idea just how much goes into properly filling the freezer with venison. So let’s talk a little about some of the lesser known practices that can help you bag a buck. There are, essentially, three types of deer hunting which are used. You don’t just walk into the woods with a rifle and find a deer, the way many people imagine. The most common, undoubtedly, is that of blind hunting. It’s mostly used by rifle hunters and is the “good-ol-boy’s” favored method. 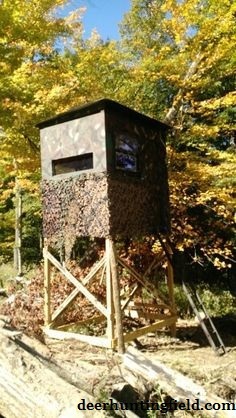 If you’ve got access to the land for it, you’ll build a box blind in the off-season. One of the main things people forget is that it is not the blind which needs to be hidden. It’s the movement within the blind while you’re lining up the shot. Ideally, you should have built it large enough you can rest your rifle and sandbag or bipod as you prefer without the barrel protruding. This is obvious to all but the most obvious of hunters, of course. The second big thing which can go wrong with a blind is not painting the interior. You need an interior color which can hide you, because you’ll stick out like crazy moving against a plain wooden interior. If you wear old olive drab BDUs while hunting? Go with OD green and you can’t go wrong. From here, you’ll need to be still and quiet and as long as you’ve set up in the right area you’ll be in good hands. Stand hunting is often favored by bow hunters. In this case, you’ll find that safe construction of a stand and the ability to remain still for an extended period is your best friend. When it comes to this kind of hunting, your ability to choose a proper shooting lane is your best friend. 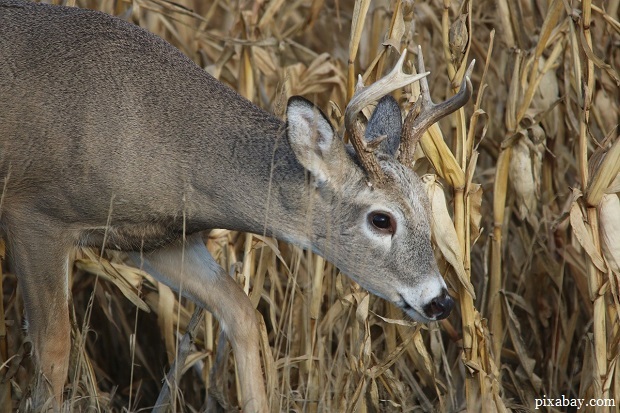 Stalk-and-spot hunting isn’t commonly used by many, rifle or bow. This will entail you moving very, very slowly through the woods. Remaining behind cover. Your glass will be your best friend in this case. Did we mention moving slowly? Because a step every fifteen to thirty seconds isn’t uncommon once you’re in the right area. For bow hunters this is even more essential, due to the limited range of their weapon. It’s an extremely difficult form of hunting to master. No hunting is really just walking into the woods with a weapon, but extremely rewarding. If you’re a complete novice to hunting, you may wish to try with less wary prey than deer, many of us started with small, fast game like rabbits and ground fowl before even attempting to move on to larger game. Deer, in particular, are notoriously difficult to hunt in this way and success isn’t guaranteed for anyone but the virtual master. Deer are commonly seen as peaceful, kind of docile animals. This is a huge misconception in hunting season. A doe or buck that gets even an inkling of a human being can be gone before you can blink. While the does with young you see in more urban areas aren’t super human shy, during the hunting season in areas where you are allowed they are extremely alert. The senses of deer are very finely tuned, but often in quite different ways than people assume. The primary difference between being “sharp” and being different, however, lies within their sight. Their eyes see in a completely different spectrum than humans, many people think their cheap woodland camo is going to keep them hidden well. It will… from other humans. Certain dyes used in manufacturing clothing are actually ultraviolet reactive, and it’s common for this to be seen in much of the “hunting” gear you see at large. Always test your camo. Use a black light, if it fluoresces then you may as well be glowing to the animals while you’re hunting. This is especially important when you’re hunting from within a blind. There are products available to kill the optical brightening of these dyes, and they can be found readily online, so test and treat your gear. Deer vision, apart from this remarkable quality is still not great, but here’s the thing… they lack visual acuity. Movement sense and their field of vision is actually still remarkable, but they’re not as “sharp” as humans which makes it a bit easier to hide your human form. Their hearing and sense of smell, on the other hand, are remarkable. 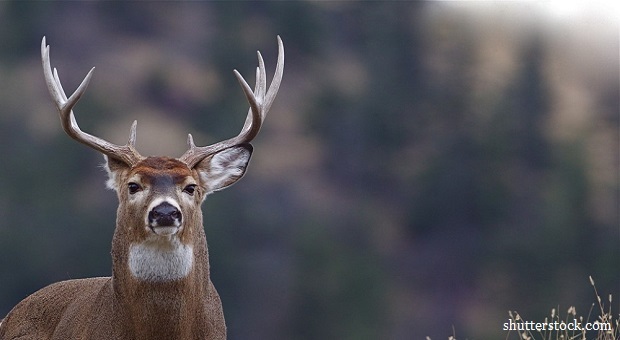 A deer can smell you from half a mile away, they also process smells much differently than we do. This is why it’s so important to cover your scent trail in any way possible. One of the best is simply to make sure that you go through the usuals of covering your scent. Thankfully, in most areas this isn’t as large of an advantage as you might imagine. Deer are wary, but no one would be bagging them if they bolted at the first sign of human scent. Do your best using the traditional methods and you should be fine. Deer hearing actually isn’t much better than a humans. They just tend to be more wary than a human, after all… you’re a big predator. If you hear a stick crack, you’re not likely to jump while out in the woods unless you’re already aware there’s a bigger predator in the area. Deer, on the other hand, are constantly on the look-out for their predators. They do have one distinct advantage however: their directional hearing is much better than ours. They can hear slightly higher on the scale than humans. A noise you’re likely to barely notice, a knife being slid slowly out of a sheath or a quietly moved bolt on a rifle, is enough to set most deer off. What all of this sensory information really brings us to is one thing, however. Humans live in noisy environments. Even the best of us aren’t likely to be spooked by a slightly off noise. A trained human might be able to discern something really off, around us. A knife clicking open, a pistol being cocked, or quickening foot steps behind us, but even the average “aware” person isn’t going to immediately react to this. Deer, on the other hand, aren’t just being hunted by us. 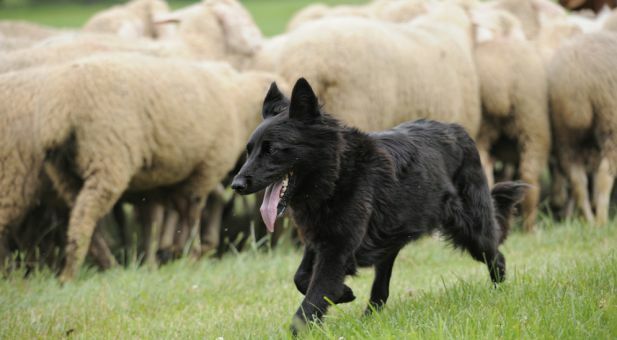 They live their lives surrounded by predators in an environment with predictable noises. This means that the slightest thing off makes a deer wary, and something being really off will set them running. Keeping this in mind, in addition to the sensory information above, is your key to understanding their behavior. Most hunters with private land have a fairly predictable method. You make a blind, you plant food plots around the area in order to ensure that you attract deer, and then you’ll spend some time waiting in a blind during deer season. When you’re on public land, or land which is improperly prepared things are different. Even if you’re not going for proper spot-and-stalk style hunting you still need to know where to set up your pop-up or temporary stand. This means locating animal trails, water sources, and likely food sources for the animals in question. You’ll likely be spending a good amount of time in the woods even in the off-season in a new area. Frankly, some of us get bored doing this after five or six trips. Grab a decent Gamo and bag some rabbits or tree squirrels if they’re in season while you’re doing it if you find it too boring, but keep in mind you’re learning their habits not just small game hunting. You need to know not just habits, but also shooting lanes if you’re a rifle hunter. Shooting lanes are possibly the most important part of your making the kill. Look, if you’re not competent enough to hit the deer in the first place, you should be at the range and not in the woods. A shooting lane means an area where you’ll have the distance a deer can’t quite detect you without obstruction. Don’t trust “brush guns”, I’ve seen .45-70 rounds deflect by up to six inches from hitting light bushes. If your area is too densely overgrown, then you may have to make some or rely on shooting from height. Once you have a few established shooting lanes, whether from your blind or stand, it’s time to discuss the actual kill shot. There is always going to be debate about this aspect. The obvious goal is always one-shot one-kill. However, there’s a certain level of marksmanship which will go into each and every shot that you’ll make. Brain shots are very hard to pull off. You basically fire between the tear ducts, instantly destroying the animal’s brain. Secondly, by shooting behind the eyes you can instantly destroy most of the brain, usually dropping the animal almost instantly. Lastly, a shot into the top four pieces of the spine, just below the base of the skull has much of the same effect. Of course, not all hunters are expert riflemen, and I wouldn’t imply you need to be. The other commonly accepted shot is the “double-shoulder” shot. You are trying to shoot through the actual shoulder blade of the deer in question. This shot is usually done with a fairly large round, a .308 or .30-06 for example. In this case, the shot will generally lodge in the opposite shoulder blade, in effect this snaps the deer’s spine. The typical “heart-lung” shot is perfectly viable as well. In this case you shoot through the front of the torso in the “boiler-room” area. This is perfectly viable, hard to miss, and with luck will drop the deer quickly enough you won’t have to give much chase. Head shots are an instant kill.A near miss can damage the jaw or miss the deer entirely, it’s only recommended for expert riflemen. The shoulder shot is a big kill, and fairly easy to make. It does, however, damage a lot of meat since you’ll need to use a high caliber round to do it effectively. The heart/lung shot is a reliable kill. It is not, however, always a fast kill and if only a single lung is damaged the deer may escape and even recover. With a bow, you are nearly always best off taking the shot in a way that it goes through the heart and lungs. Arrows cause considerable tissue damage but lack the concussive force for a high shoulder kill and the probability of a head shot being both viable and accurate enough for it to matter is too risky to make it an ethical shot for anything but a chance encounter at fifteen yards or less with a powerful bow. There are a lot of common mistakes that inexperienced hunters make, and to be honest most of them are drawn from misconceptions that people who’ve rarely been in the field make. Not wearing blaze orange in deer season, especially on public land, is asking for trouble. Some hunters don’t follow safety rules, and taking a bullet wound is not worth the risk. Vests and hats should be a minimum, jackets are better. Making tons of noise is also something common. Not just the obvious talking. 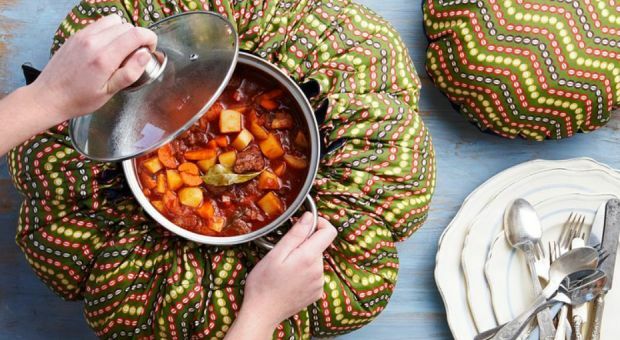 Tighten knife sheathes in multiple areas to avoid “slapping.” Look for softer outer clothing to avoid scraping noises as well. Secure your pack as well as possible and if you must lean on something, then be careful getting off and on it in order to make sure you don’t make any “scraping” noises. And above all, this is the most common mistake I see people make: examine every piece of a failed hunt. Observe the routes you moved, the gear you used, and always question each and every possible misstep you made. In many ways, a failed hunt can make you better at hunting than one where you got lucky. That is what truly separates a good hunter from a failed one: the ability to analyze your mistakes. Hunting is an art, it is skill, and it is a constant learning process. Always learn about your quarry. Always sharpen your skills. Always examine your mistakes. If you do all of these, you will find yourself progressing at a rate you never thought possible. You will fill tags season after season. If you don’t, well, it’s no shame to just spend a couple of days in the woods with friends but don’t expect as much success as those who are constantly trying to better their skills. This article has been written as a guest author for Survivopedia by Kevin Steffey, the founder of Deer Hunting Field. Very good info. So much goes into a good meal. Sport hunting should be legal. Might want to show them how to skin a deer too. Sport hunting is a waste of life in a very important fashion. For one, it will bring more people, a lot of them of a lesser intellectual nature. This in itself will force the deer and other large game back into MORE restricted areas. also, it will make THEM more wary, while the humans less wary. it will also endanger the real hunters by getting too many people in an area so it is unsafe. also, if they hit an animal, and not kill it, it will become an “oh well”, can find others issue. We need to protect our food sources as well as other’s lives. The only hunting one can do in America is Sports hunting in regulated seasons. Who are the “real” hunters you refer to? the ones that own their own property and do not allow anyone else to hunt it? Or do you have the damage permits that allow you to shoot a number of deer where you are the only one that can shoot it? to hell with the rest of the people. private land is always harder to get into and all public land is more crowded and has less animals because of private land not being open. We own land in Wisconsin under Managed Forest that is considered public land. We don’t mind others hunting there as long as they respect the land and follow the rules and ethics of hunting. I have seen some land owners and even farmers who are less ethical than the people on public land. Your opinion in the first sentence doesn’t sound valid. Good article. But I think it would be useful to show a side view and front view with a circle around the heart/lung area to aim for, the so-called “bread basket”. Also, how to avoid a gut shot and it’s consequences. And maybe mention the sometimes popular “Texas Heart” shot. Good hunting to all. Never go for a head shot. The head is so small you better be a skilled marksman to hit it. Always go for the heart/lung area. I miss typed. But thanks for the great response. you left out 1 really important step, practice, practice, practice. get to know your weapon, time spent target shooting is a must.. when using a scope, simple bumps to the scope could be the difference between a miss or injury to the animal., also alot of scopes use batteries, check them…..one thing i’ve noticed thru out the years of hunting is, things become more noisy when cold, the use of nylon and other such materials is a big no no when hunting. wool or fleece are the best. dressing for the cold is also very important, many things are important before you get to the shot…. you rushed things for a bigginers class on deer hunting. 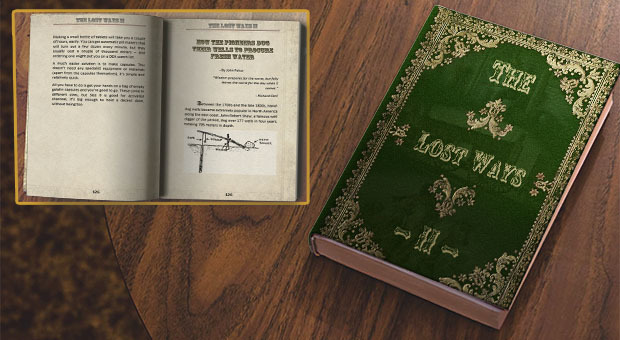 compass’s, water, survival equipment, etc. etc.